really. You guys are very cool. Thanks for reading my ramblings. How about using your cranes as a kind of window shade rather than hanging them mid room...that way when the window is open they'll take flight a bit. 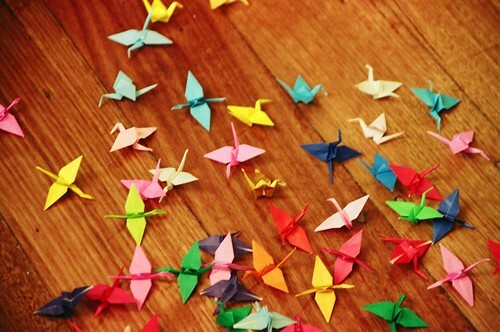 I used to make those cranes obsessively when I was at school. I never knew what to do with them though. 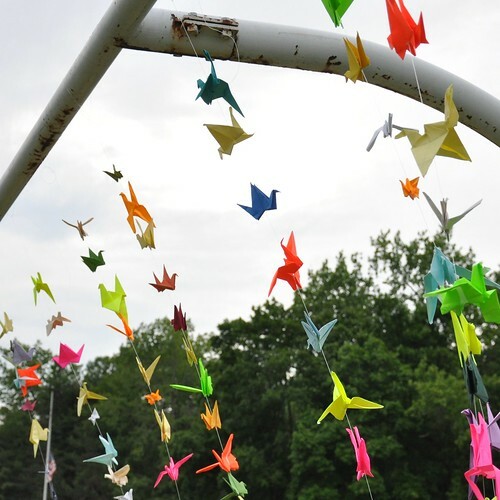 If only I'd seen these beautiful hangings 10 years ago!